LASIK eye surgery is a laser eye surgery that is pretty cheap nowadays and is a life changing experience. Imagine never having to find your glasses AGAIN, or struggle with putting in your contacts. There is nothing like being able to just wake up and see!! Patients with near-sightedness, far sightedness and astigmatism can now reduce or eliminate their dependence on contact lenses and eyeglasses through LASIK (laser assisted in situ keratomileusi). South America many people are surprised to hear has always been at the forefront of technology for eye surgery. 30 years ago refractive surgery was first developed in South America and as a result the most experienced doctors in the world, who not only use the latest technology but actually help develop it, are there. The newest innovation to LASIK is a diagnostic device known as Wavefront. Wavefront is an extremely accurate device that maps any imperfections of your cornea and as a result there is less scar tissue and an increased probability of seeing 20/40 or better. It also allows people previously denied LASIK, due to thin corneal walls, the opportunity to undergo this life changing treatment. Here is a quick checklist to see if you are a good candidate for LASIK eye surgery? Every individual is different and nothing can replace a thorough examination by your optometrist to qualify you as a candidate. Has your prescription stayed the same or had only a minor change within the last year? Do you have a moderate prescription for myopia (near sightedness) or hyperopia (far sightedness)? Do you currently have cataracts? Or Glaucoma? Do you have a medical condition which may interfere with the healing process? Are you currently using any of the following drugs such as isotretinoin (Accutane 2 ) for acne treatment or amiodarone hydrochloride (Cordarone 3 ) for normalizing heart rhythm. Do you have severely dry eyes? If you answered yes to questions 1-3 and NO to questions 4-9 you may be a good candidate for LASIK. Before you travel to receive LASIK it is very important that you visit your local optometrist and confirm your candidacy. If you are not a candidate for LASIK there are options for you, click here to read about Phakic Intraocular Lens. When Should I not have LASIK? LASIK is a form of outpatient corneal surgery in which, under local anesthesia, a surgeon uses a specialized and precise flap-making instrument, called a microkeratome, to create a thin flap of corneal tissue. This flap is raised and laid back while still attached to the cornea. The surgeon then uses an excimer laser to remove a pre-determined amount of corneal tissue from the exposed bed of the cornea. The amount of tissue to be removed is calculated based on the pre-operative determination of the power of your eye. The flap is replaced and within minutes natural forces hold the flap down on the cornea. Usually, within a few hours, the surface epithelium ("skin") of the cornea begins to grow over the cut edge of the flap to seal it into position. LASIK can be used to correct nearsightedness (myopia), farsightedness (hyperopia), and astigmatism. In order to decide whether to undergo the Procedure, it is helpful to understand how the eye works. The eye is like a camera. The cornea is the clear, dome-shaped window that forms the front wall of the eye. The retina is the light-sensitive tissue in the back of the eye that connects to the brain. The retina acts like the film in a camera. The cornea at the front of the eye acts as a lens that focuses light onto the retina, producing an image on the retina that gets transmitted to the brain and interpreted as vision. The curve of the cornea determines the power of the corneal lens and whether the incoming light rays from distant objects focus directly onto the retina. When light does not focus directly on the retina, the eye has a refractive error. This means that with the appropriate "refractive correction" lenses, incoming light rays become focused onto the retina, producing clear vision. the retina. Distant objects are blurred, while nearby objects can be clear. looks like a football, with a steep curve on one side and a flat surface on the other. vision. Many people with myopia or hyperopia have some degree of astigmatism. of the cornea in order to correct myopia, Hyperopia and astigmatism. As technology advances, additional treatment options become available to patients. One such procedure is wavefront treatment (also referred to as "custom ablation" or "custom treatment"). Eyeglasses and contact lenses address what's known as 'low-order aberrations', of which nearsightedness, farsightedness, and astigmatism are symptoms. Wavefront treatment corrects additional visual imperfections called 'high-order aberrations' (e.g., halos, spikes, starbursts, some night vision problems, etc. ), improving visual acuity and visual quality beyond that which is possible with eyeglasses or contact lenses, or other, less evolved laser eye treatments. These high-order aberrations are mapped, and a customized laser treatment plan is developed to correct them. Wavefront treatment involves creating a sophisticated corneal map of the eye and then combining that with an analysis of the visual system of the eye using a Wavefront analyzer, or aberrometer, which studies the way the eye bends light rays, improving visual quality potential. A precise measurement of all the aberrations of the eye provides a broader treatment range and allows patients to be treated that might have otherwise been ineligible. The entire visual system is analyzed, from the corneal surface through the crystalline lens of the eye, all the way to the retina, which is at the back of the eye. This combined analysis is then applied directly to the cornea via laser treatment. These steps represent a far more detailed assessment and treatment of the visual system than available previously, whereby visual imperfections are virtually eliminated. Wavefront treatment can be done in conjunction with either LASIK or PRK, allowing one the opportunity to potentially see 20/20 or even better. Chances of Success in LASIK of IUMO. *A visual acuity of 20/40 of better is required to pass the driver's license examination. It is therefore considered the legal "normal" visual acuity. If you wear contact lenses, it is a good idea to stop wearing them before your baseline evaluation and switch to wearing your glasses full-time. Contact lenses change the shape of your cornea for up to several weeks after you have stopped using them depending on the type of contact lenses you wear. Not leaving your contact lenses out long enough for your cornea to assume its natural shape before your and exam and surgery can have negative consequences. These consequences include inaccurate measurements and a poor surgical plan, resulting in poor vision after surgery. These measurements, which determine how much corneal tissue to remove, may need to be repeated at least a week after your initial evaluation and before surgery to make sure your measurements have not changed. You should tell your doctor about your past and present medical and eye conditions and any medications you are taking including over the counter medications and any allergies you may have. You should have the opportunity to ask your doctor questions during this discussion. Your doctor should perform a thorough eye exam and discuss whether you are a good candidate for Lasik and what the risks, benefits and the alternatives of the surgery are. You should know what to expect before, during and after the surgery and what your responsibilities are. Give yourself plenty of time to think about the risk/benefit discussion, to review any informational literature provided by your doctor, and to have any additional questions answered by your doctor before deciding to go through with surgery and before signing the informed consent form. Contact lenses can "warp" the corneal surface, which changes the corneal curvature and leads to a measurement of your refraction that is not representative of your true refraction. In order to properly calculate the treatment to correct your refractive error, you will have to stop wearing contact lenses at some stage prior to surgery. The time interval that you must go without wearing contact lenses depends on the type of lens that you use and the length of time you have used them. Soft contact lenses may not be worn for at least one (1) week prior to the pre-operative exam. Soft contact lenses may not be worn for at least one (1) week prior to the Procedure. Soft toric lenses may not be worn for at least one (1) week prior to the pre-operative exam. Soft toric lenses may not be worn for at least one (1) week prior to the Procedure. Gas permeable lenses may not be worn for at least four (4) weeks prior to the pre-operative exam (or 8 weeks if you have worn them for more than 20 years or 12 weeks if you have worn them for more than 30 years). Gas permeable lenses may not be worn for at least six (6) weeks prior to the Procedure. True hard lenses (PMMA) may not be worn for at least twelve (12) weeks prior to the pre-operative exam. True hard lenses (PMMA) may not be worn for at least twelve (12) weeks prior to the Procedure. Exceptions to the above rules exist and you can discuss these with your eye physician. Your doctor will order blood tests to be performed. Make sure you bring with you a pair of sunglasses, your eyes will be sensitive and irritated by light for the first 24 to 48 hours. Avoid alcohol 24 hours prior to and 48 hours after your surgery, as this tends to dehydrate the tissues. Wear comfortable clothing on your surgery day. Avoid clothing such as wool that may generate lint in the surgical suite. Wear minimal jewelry and bring only necessary personal items. You will be instructed to take off your shoes and jewelry. You will then be given a sterile hair cap, body garment (you do not take off your clothes) and foot coverings. You will then be led to a preparatory room where an assistant will begin treatment with numbing eye drops. The surgery should take less than 20 minutes. You will lie on your back in a reclining chair in an exam room containing the laser system. The laser system includes a large machine with a microscope attached to it and a computers screen. Another numbing drop will be placed in your eye, the area around your eye will be cleaned, and an instrument called a lid speculum will be used to hold your eyelids open. A ring will be placed on your eye and very high pressures will be applied to create suction to the cornea. Your vision will dim while the suction ring is on and you may feel the pressure and experience some discomfort during this part of the procedure. The microkeratome, a cutting instrument, is attached to the suction ring. Your doctor will use the blade of the microkeratome to make a flap in you cornea. The microkeratome and the suction ring are then removed. You will be able to see, but you will experience fluctuating degrees of blurred vision during the rest of the procedure. The doctor will then lift the flap and fold it back on its hinge, and dry the exposed tissue. When your eye is in the correct position, your doctor will start the laser. At this point in the surgery, you may become aware of new sounds and smells. The pulse of the laser makes a ticking sound. As the laser removes corneal tissue, some people have reported a smell similar to burning hair. A computer controls the amount of laser energy delivered to your eye. Before the start of surgery, your doctor will have programmed the computer to vaporize a particular amount of tissue based on the measurements taken at your initial evaluation. After the pulses of laser energy remove the exact amount of corneal tissue, your eye is irrigated and then the flap is put back into position. Immediately after the procedure, your eye may burn, itch, or feel like there is something in it. You may experience some discomfort , or in some cases, mild pain and your doctor may suggest you take a mild pain reliever. Both your eyes may tear or water. Your vision will probably be hazy or blurry. You will instinctively want to rub your eye, BUT DON”T!! Rubbing your eye could dislodge the flap, requiring further treatment. In addition, you may experience sensitivity to light glare, starburst or haloes around lights, or the whites of your eye may look red or bloodshot. These symptoms should improve considerably within the first few days after surgery. You should plan on taking a few days off from work until these symptoms subside. You should contact your doctor immediately and not wait for your scheduled visit, if you experience severe pain, or if your vision or other symptoms get worse instead of better. You will be given antibiotic eye drops and a lubricating eye drops to use in the weeks following your surgery. Your doctor will then schedule a follow up visit for the following day to examine you eyes and test your vision. You should have another follow up exam three days after surgery, one month and three months. If you choose to use your own eye care professional, your doctor will require pre- and post-operative forms. After your 24-hour post-operative appointment you will receive, via email or in person, your refractive surgical report and post-op form for your own eye care doctor. The day of surgery should be a day of rest. Always be very careful about activities where the eye may be poked, rubbed or touched. Always avoid rubbing eyes. Rubbing is never a good idea – instead use lubricating drops for irritation. Avoid staring without lubricating the eyes. 24 hours after laser eye surgery. Take a bath instead of a shower .Avoid getting soap or water in the eyes. Restrict movement to light activities. Work should probably be avoided. Work at home is acceptable. Driving short distances after the eye examination is acceptable if adequate vision is confirmed at the post operative evaluation. Reading and watching television is acceptable as long as adequate eye lubrication is maintained. Flying in airplanes is acceptable but keep eyes generously lubricated (every 30 minutes) airplanes have very dry air. Driving can be resumed if adequate vision is confirmed at post-operative evaluation. Shower, but continue to avoid any soap or water in the eyes. Apply face make-up but not eye make-up. Use computers, but it is very important to keep eyes well lubricated. Proceed with caution as these activities have a high risk of water being forced into the eyes. Are pregnant or nursing. These conditions may cause temporary and unpredictable changes in your cornea that may interfere with the accuracy of the measurement of your cornea before the LASIK procedure. Have a collagen vascular (e.g., rheumatoid arthritis), autoimmune (e.g., lupus), or immunodeficiency disease (e.g., AIDS). These conditions affect your body's ability to heal and may result in inflammation or swelling of parts of the body such as muscles, joints, and blood vessels. Show signs of keratoconus or any other condition that causes a thinning of your cornea. This unstable condition of the cornea makes it unsafe to do LASIK procedures on eyes with this condition. Are taking medications with ocular side effects, such as isotretinoin (Accutane 2) for acne treatment or amiodarone hydrochloride (Cordarone 3 ) for normalizing heart rhythm. These medications may affect the accuracy of the LASIK procedure or the way your cornea heals after surgery. This may result in poor vision after surgery. Diabetes. Diabetes may interfere with the healing of the cornea after LASIK. A history of herpes simplex or herpes zoster infection that has affected your eyes. LASIK may be more risky for patients who have an active or previous herpes infection that has affected their eyes. Significant dry eye that is unresponsive to treatment. LASIK may increase the dry eye condition, which may or may not go away. This dryness may delay healing of the flap or interfere with the surface of the eye after surgery. Severe allergies. The medications taken for severe allergies may interfere with the ability of the eye to heal after LASIK. All surgeries have certain risks and possible complications. It is your right to know not only the benefits of Lasik but also all the possible risks. Lasik is the most frequently performed elective surgery in the world. Over 3 million people in the United States alone received Lasik last year. The percentage of people who experienced complications ranged from .6% to .0001% making Lasik one of the safest surgeries. However, it is still important that you are aware and able to accept these risks no matter how slight they are. Some patients do not see as clearly at night or in dim light and may notice an optical effect called a "halo" or a "starburst" around lights and illuminated objects after the Procedure. Patients who notice these effects may need to wear glasses to drive at night. These effects are for the most part temporary, but could be permanent and uncorrectable. Further, these conditions are more likely to occur in patients with high levels of nearsightedness or farsightedness and for patients with larger-than-average pupil size. The microkeratome and excimer laser are maintained according to manufacturer specifications. Despite this maintenance, the microkeratome or the excimer laser could malfunction, requiring the Procedure to be stopped before completion. In some instances, this could result in a loss of vision, or rescheduling of the Procedure. The exact removal of tissue performed by the laser is overridden in some cases by the healing response of the eye. While the treatment of your refractive error is designed to completely neutralize your refractive error (unless otherwise discussed with your surgeon) this treatment is aimed at the "average" eye. If your eye tends to heal in a different way from the "average," your refraction may result in an over- or under-correction of the refractive error. A patient's tolerance for under-correction or over-correction varies. In the majority of instances, the over- or under-correction can be corrected with glasses, contact lenses or additional surgery. In other instances, it can be permanent and not amenable to surgery because of structural stability issues or the presence of an irregular corneal surface. Procedure; however, in some cases they could be permanent. If the surgeon performs the Procedure on each eye on different days, the eyes may not be able to balance and focus properly until the Procedure is performed on both eyes because there will be a power difference between the two eyes. Other risks include severe infection that cannot be controlled by antibiotics, hemorrhage, corneal swelling, retinal detachment, venous or arterial blockage, cataracts, drug reaction, or other complications. These complications range from minor, temporary problems to major, permanent damage, loss of an eye and can cause partial or total blindness. The cornea is living tissue. Once tissue has been removed from the cornea during the Procedure, the surface epithelium ("skin") can thicken to compensate for the change in shape that has occurred. This happens to a variable degree among treated patients, accounting for the reason why some patients have a stable immediate result (minimal epithelial thickening) and others regress (more significant epithelial thickening). Regression is more likely to occur in very nearsighted patients. In some cases, the patient can have another laser surgery to improve distance vision. In other cases where tissue availability for safe laser retreatment is limited, the regression is corrected with glasses and/or contacts. The steroid drugs used during the first week after surgery may, on rare occasions, cause increased pressure in the eye. This raised pressure needs to be closely monitored and may require additional topical and/or oral medications if significantly elevated. It is important for you to return to the Center or your optometrist for scheduled follow-up visits to monitor your eye pressure in order to modify the medication schedule as needed. For at least three (3) months after the Procedure, the eye should be considered fragile to direct trauma. When participating in sports or other activities involving possible contact with the eye during this period, you should wear protective eyewear. In any event, it is advisable to protect your eyes from direct trauma after the Procedure as much as possible. The eyelids have a natural tendency to droop with age. The eyelid speculum that is used in the Procedure may hasten this process. A certain amount of corneal tissue must remain under the flap after the laser has achieved tissue removal. This is believed to relate to the long-term stability of the cornea. In rare instances, imprecision in the accuracy of the keratome cut, coupled with inaccuracy of the pre-operative corneal thickness evaluation can result in less tissue being left under the flap than intended. This can have two effects: it can either result in bulging of the cornea thus reversing the intended flattening effect of the treatment, or it can lead to progressive deformity of the cornea with thinning and increasing curvature changes, and the cornea can develop an irregular shape. In more severe instances, the condition of progressive deformation is called ectasia and the patient may need a corneal transplant in order to restore his or her vision. The probability of this occurring with currently employed modern technology is thought to be approximately one in 10,000. The corneal flap may be too thin, too thick, uneven, and too short, may wrinkle, become displaced or may not heal properly. This condition could be temporary, requiring that LASIK be postponed until the surgeon can create a new flap, or could cause permanent damage to the cornea. In addition, there is a risk that the "hinge" of the flap may be cut off from the cornea (also known as a "free flap"). In some instances, the surgeon can still perform the laser treatment, reposition the detached flap on the cornea, place a contact lens bandage on the eye to promote healing, but in some instances he or she may choose to wait to perform laser treatment until after the flap heals. If, however, a "free flap" is lost, the patient could experience permanent corneal damage. If the damage or distortion in vision is severe, a partial or complete corneal transplant may be necessary to restore vision. Sometimes after the surgeon creates the flap during LASIK, there may be a small amount of debris or tissue under the flap. Debris can result from the instruments used or consist of tear-film oil or floating material. The surgeon may decide in the immediate post-operative period to irrigate beneath the flap to remove this debris. Small amounts of debris can generally be monitored in the clinic without surgical intervention. In most cases, debris that is left behind is cleared in time by the body's own clearing systems. Infection, on the surface of, or beneath the flap is a rare event, estimated to occur at a rate of one in 10,000. Infection is managed by starting antibiotic eye drops and in most instances, taking cultures of the cornea. Your surgeon might even need to lift the corneal flap to culture and treat the infection. If the infection results in significant scarring of the cornea, a partial or complete corneal transplant may be necessary to restore vision. 14. Diffuse Lamellar Keratitis or "Sands of the Sahara "
In some cases, patients experience a temporary complication caused by an inflammatory reaction between the flap and the corneal bed of the eye. This condition has been called "Sands of the Sahara " or Diffuse Lamellar Keratitis (also known as "DLK"). The exact cause of this complication has not been determined. Patients with DLK may not show any symptoms at all or may experience blurred vision and tearing, which can last from several days, up to several weeks, which can delay the healing process. DLK can generally be treated with topical or oral steroids, with possible need for surgical intervention (the surgeon irrigates beneath the corneal flap). The epithelium is the surface layer of cells that protects the cornea as the "skin" over the stromal layer of the cornea. If the epithelium is cut or removed, it generally grows back. In LASIK, the surgeon creates a flap, consisting of epithelium and stroma, and holds the flap back while performing the Procedure. The epithelium in some people is not as well attached to the underlying stroma; such eyes are at increased risk for epithelial scratches or epithelial sliding, especially as the flap-maker is passing over the corneal surface to create the flap. In some cases, we can identify eyes at risk and advise about the increased risks associated with surgery. There are, however, rare patients where there are no pre-operative clues. In addition, older patients are more likely to have areas of weakened "skin" or slips during flap creation. In such instances, the surgeon places a bandage contact lens over the cornea at the end of the LASIK to assist in healing and to reduce discomfort. Patients who experience an epithelial slide or abrasion or erosion may experience a longer recovery period and may be at risk for complications including infection, inflammation, recurrent erosions, flap wrinkles or epithelial ingrowth. The surgeon may postpone and reschedule LASIK until the eye heals, or he or she may choose to not treat the second eye at the same session following a severe slide or erosion on the first eye. Epithelial ingrowth is a condition in which epithelial cells from the surface of the cornea grow under the edge of the flap. If the cells continue to grow, they can affect the underlying tissue causing astigmatism, flap edge thinning and reduction of vision. This condition is generally treated by medication and observation, although further surgery to remove the epithelial cells from the interface may be necessary. Dry eye is a common, but generally temporary, complication arising from LASIK or PRK. This condition can usually be treated with lubricating eye drops and occasionally with temporary inserts or "plugs" that prevent the normal drainage of tears into the nose. Dry eye generally improves within a few months after surgery, but in some instances can continue for longer periods of time, and may require long-term use of lubricant drops and permanent plugs. Patients who have dry eyes prior to LASIK or PRK are likely to experience dry eyes after the Procedure. When the suction ring is applied to the eye during the flap-making process, the pressure in the eye increases significantly and many patients will notice that the light will dim or go out completely in the eye. When the suction ring is removed, the vision is restored to the eye within a few seconds. There is a remote risk that when the suction ring interrupts the blood supply to the eye, permanent damage to the retina (the film of the eye camera) and loss of vision can result. This possible occurrence has a theoretical probability of less than one in 1,000,000. Microscopic irregularities on the surface of the cornea can cause slight vision loss. One to two percent (1-2%) of patients may lose up to two lines of vision on the eye chart after the Procedure. Although corneal haze is part of the normal healing process, and gradually subsides with little or no permanent effect on vision, if the haze is excessive or does not go away, the patient may need additional treatment. Because a steroid drop is used post-operatively to control the healing response, some patients may experience a rise in their intraocular pressure (IOP). You will need to be monitored and may require an additional medication to control the pressure until you have completed your prescribed steroid medication. » Due to each individual's prescription level and unique physiology, an additional treatment or enhancement, may be required. A patient may be a candidate for a LASIK retreatment or enhancement procedure. Eligibility will be determined by the terms and conditions outlined in the LASIK Eye Centers protocol. The patient must generally wait at least three (3) months after the first LASIK and must have adequate corneal tissue and stable vision, and meet other conditions of the LASIK Eye Centers retreatment protocol. Results cannot be predetermined or guaranteed. There are currently two methods used for retreatment. One involves re-lifting the flap created from the first surgery and reshaping the underlying corneal tissue. The second involves making a new flap. Both methods involve all the risks of LASIK. Our goal is to help you achieve a life free from the dependence on glasses or contacts. It should be noted, however, that all patients eventually require the need for reading glasses as part of the unrelated and natural aging process of the eye. » The Procedure does not correct vision defects that do not arise from refractive errors, such as cataracts, amblyopia, strabismus or presbyopia. Patients with such conditions may be subject to additional risks and additional side effects and should discuss their condition with the surgeon and optometrist before deciding whether to have the Procedure. cataract surgery. LASIK or PRK will not prevent cataracts, nor will it reverse the effect of a cataract that is beginning to appear. Amblyopia is a medical condition that develops in early childhood in which a person who has reduced vision in one eye relies on the other eye to focus. LASIK or PRK will not reduce or eliminate amblyopia. It will not improve the vision in the amblyopic eye. If the patient experiences side effects or complications from the Procedure in the eye that is able to focus, he or she could experience a loss of vision because that eye would no longer be able to compensate for the other. Strabismus is an eye disorder caused by a weakness in the eye muscles in which the eyes may not be aligned properly. LASIK or PRK will not correct, reduce, eliminate or prevent strabismus. Patients with strabismus may develop double vision as a result of or as a side effect of the Procedure. As we age, the crystalline lens of the eye may lose its ability to accommodate to nearby objects. This condition, known as presbyopia, usually begins around the age of 40, and can most often be comfortably corrected through the use of eyeglasses. The occurrence of a complication may or may not lead to a poor visual outcome. However, in the event a complication does occur, and it leads to an unsatisfactory visual outcome, this would mean that your vision could be blurred, doubled, distorted, or have halos or other disturbances, and these would NOT be correctable with glasses or contact lenses. In the event this should happen, your surgeon will discuss and offer you advice on further treatment, which may involve medications or more surgery. If the outcome cannot be corrected by medications or more external surface corneal surgery, the only way of restoring the vision may be a corneal transplant. It is believed that with current techniques and technology, the combined risk of all causes of a corneal transplant being necessary is approximately one in 10,000 or less. Eyeglasses are safe, relatively inexpensive and most people can wear them reasonably well. However, depending on the nature of the correction, the lenses may be thick, and may reduce or increase the size of the visual image. Contact lenses are another non-surgical alternative. Contact lenses come in a variety of materials, and comfort, effectiveness, and ease of use varies. Since contact lenses rest directly on the cornea, not everyone is able to tolerate them. If fitted and used properly, contact lenses are effective, relatively safe and easy to use. Complications arising from the use of contact lenses include allergic reactions, infections, scratches, ulcers, or other injuries to the cornea. For those persons with mild myopia (four diopters or less), Intacs™ might be a possible alternative. 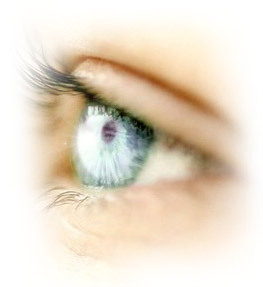 Intacs™ are surgically implanted plastic half rings that change the shape of the cornea. Intacs™ can be removed at a later date if so desired. Complications from Intacs™ may include difficulty with night vision, glare, halos, blurry or double vision and fluctuating distance vision. The FDA-approved labeling of Intacs™ indicates that up to 7% of these devices were removed for complications during the FDA phase III clinical trials. Other methods of refractive surgery available include Radial Keratotomy (RK) and Automated Lamellar Keratoplasy (ALK). RK is seldom performed at the time of writing (2003) because the excimer laser can achieve the same effect as the incisions without the need for placing incisions, which effectively lead to a weakening of the structure of the cornea. 1-What does LASIK stand for? 2-How long has LASIK been performed? 3-Why is LASIK considered an advancement in refractive surgery? 4-Who can benefit from LASIK? 5-Is LASIK still an investigational procedure? 6-If I have LASIK and my vision changes later in life, can it be redone? 7-How long will the LASIK procedure take? 8-Can I drive immediately after having LASIK? 9-What type of anesthetic is used for LASIK? 10-Is LASIK a painful procedure? 11-How long does the eye take to heal after surgery? 12-How long will I be out of work after having LASIK? 13-Can I play sports after having LASIK? 14-How long will it take before I can have my best vision? 15-Will there be a need for glasses after LASIK? 16-Does medical insurance cover the procedure ? 17-Who is a good candidate for LASIK? 18-Will I have perfect 20/20 vision after having LASIK? 19-Will both eyes be done at the same time? 20-How long must my contact lenses be out prior to LASIK? LASIK is an acronym for Laser Assisted In Situ Keratomileusis. This procedure uses a laser to reshape the cornea without invading the adjacent cell layers. In Situ is Greek for "in the natural or normal place." In medical terminology, In Situ means "confined to the site of origin without invasion of neighboring tissues." Kerato is the Greek word for cornea and Mileusis means "to shape." LASIK has been performed internationally for about 10 years. It is essential to point out the major historical, components of the history of this procedure. Ophthalmologists have been reshaping the cornea for over 50 years, creating a protective layer of tissue for over 35 years, and using the excimer laser since the 1980s. LASIK combines the precision of the excimer laser that is used in PRK (Photorefractive Keratectomy) and in Lamellar surgery (flap formation). LASIK can benefit a great number of people with myopia(nearsightedness), some hyperopia(farsightedness) and astigmatism. No. LASIK has been performed outside of the United States for approximately twenty years, and in U.S. clinical trials with excellent results since 1991. It is the most commonly performed refractive procedure in the United States . Retreatment may be a possible solution to vision changes later in life. However, changes in your vision is unlikely to occur. The whole procedure takes about 7 to 10 minutes for both eyes. Patients may experience slight discomfort or blurred vision for the first few hours after surgery. Most patients receive a sedative prior to surgery. Therefore, you cannot drive home after having LASIK. Topical anesthetic (eye drops) are used to numb the eye. Patients may be given a small amount of oral sedative to help them relax. The procedure is almost painless, and is performed after localized numbing drops have been placed in the eye. There may be mild discomfort for one day following surgery, as the eye goes through the healing process. Corneal healing starts immediately following LASIK. There will be continuous healing for a total of six to eight weeks. It depends on your occupation. Certain jobs that require intense clarity of vision may be difficult to perform for one or two days. Most patients can return to work the next day, assuming their vision is adequate for their job. You can resume most normal activities immediately after surgery. However, for at least two weeks you will need to avoid activities that would cause perspiration to run into the eyes. After having LASIK, it is vital to wear safety glasses while playing contact sports for at least one month after LASIK. Activities such as contact sports or swimming will need to be avoided for several weeks. Consult with your doctor about limitations on activities after LASIK. You will regain functional vision within 24 hours after LASIK. Full recovery is progressive over a period of a few weeks. Most patients who have LASIK do not wear glasses for their daily activities. However, patients may need to wear reading glasses if they are over the age of 40. This is caused by the normal aging of the eye, known as presbyopia. By the early 40's, the eye starts to lose its ability to focus on objects close at hand. LASIK is considered by insurance companies as an elective surgery and therefore does not cover the procedure. A large percentage of nearsighted, farsighted and astigmatic patients are potential candidates for LASIK. Patients who are 18 or older, have healthy eyes which are free from retinal problems, corneal scars and any eye disease are suitable for the LASIK procedure. After a consultation, the doctor will determine if you are a good candidate and will explain your best correctable visual acuity. This depends on your best correctable visual acuity. Most patients achieve their full desired visual acuity. If the desired visual acuity is not achieved, an enhancement procedure is usually performed within three months of the initial procedure. In most cases, both eyes will be corrected at the same time. It is up to the patient and doctor if they decide otherwise. Soft contacts must be out two weeks days prior to the consultation. Gas permeable contact lenses must be out 3 weeks and hard contacts must be out for at least four weeks prior to the consultation. Dallas TX | New York NY. I am interested in having lasik eye surgery. How many laser eye procedures has your doctor done? Charlie-Dallas, Tx or New York, NY. Charlie, I personally had lasik and it was a great experience. Read through the lasik section to find more information about the surgery and if you are a good candidate. Our eye surgeons are some of the most experienced surgeons in the world. Each of the surgeons we work with have done thousands. Sometimes when I see the inexpensive prices for lasik now I get a little nervous, "cheap cheap" is not really something that makes me comfortable as a sales pitch when someone is pointing a laser at my eyes. How do you know when you are getting quality vs just inexpensive lasik? Mary P -Dallas | New York, NY. Hi Mary, I can totally understand your point of view. Lasik is now marketed a bit like a Happy Meal. As long as you do your homework you can get a great deal and a great eye surgeon. Just take your time and get recommendations from people you know. Personally though i don't think I could chose the cheapest price either when it comes to my eyes. I am amazed at how little Lasik laser eye surgery costs. Why so cheap? Well I have to agree and had the same questions myself, basically the surgical equipment has become very reasonable and if an Eye Surgeon is doing a good business, then the cost per patient in very reasonable. Hence the price. This has become a totally completely based surgery. Los Angeles, CA. / Miami, FL. / Dallas, TX. / Chicago, IL. /Houston, TX./ Phoenix, AZ./ San Antonio TX./ New York, NY. / San Diego, CA.